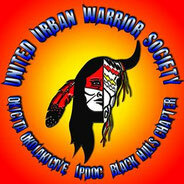 Fakes Exposed - unitedurbanwarriorsociety Webseite! Dakota Spiritual Leader On March 8th and 9th, Spiritual Leaders and Bundle Keepers of the Lakota, Dakota, Nakota Nation, Cheyenne Nation and Arapahoe Nation were called together to discuss the protection from the abuse and exploitation of our ceremonies. The meeting was held at the Cultural Center in Eagle Butte, South Dakota, hosted by the Cheyenne River Sioux Tribe. 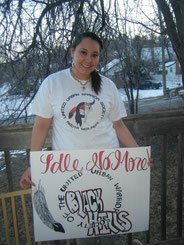 I would also like to acknowledge the financial donation from the Prairie Island Dakota Community. Discussions in the meeting included the molestation taking place in ceremony, indecent mockery, mixing of new age beliefs, charging for ceremonies and death, which was never heard of before in our ancient ceremonial history. There was also discussion of the use of other "medicines" (drugs) in and around our ceremonies. When the White Buffalo Calf Woman brought the Sacred Bundle, she instructed that only those with a pure mind and heart should touch the C'anupa. The ceremonies in question, in reference to all the Plains Tribes, were the I-ni-pi (Purification Ceremony), Wi-wanyang-wa-c'i-pi (Sundance Ceremony) and Han-ble-c'i-ya (vision quest) Sacred Rites. We put out notice in the newspapers, Native radio stations and also contacted people through the phone. I offered prayers for the safe journey of the People to this very important historic meeting. Those that could not attend, I acknowledge their prayers for a good outcome for our concerns. After long discussion and testimonies of the concerns and issues, it was decided that it would be up to me, as the Keeper of the Sacred White Buffalo Calf Pipe to make a decision. It was good to feel the beginning of a Unity amongst our People. This has been my concern for many decades, especially now, when we are facing an oncoming war. Natives allowed in our sacred Ho-c'o-ka (our sacred alters) where it involves our Seven Sacred Rites. The only protection with this decision in Government law; is that only enrolled members can carry an eagle feather. In all the Seven Sacred Rites, there has always been the understanding of earning and a requirement of an eagle feather while participating in these Rites. The eagle feather stands for Indigenous knowledge and guidance in our spiritual ways. 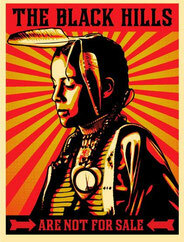 * The Wi-wanyang-wa-c'i-pi (Sundance Ceremony): The only participants allowed in the center will be Native People. 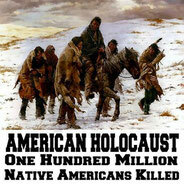 The non-Native people need to understand and respect our decision. If there have been any unfinished commitments to the Sundance and non-Natives have concern for this decision; they must understand that we have been guided through prayer to reach this resolution. Our purpose for the Sundance is for the survival of the future generations to come, first and foremost. If the non-Natives truly understand this purpose, they will also understand this decision and know that by their departure from this Ho-c'o-ka (our sacred altar) is their sincere contribution to the survival of our future generations. * Please understand the Wi-wanyang-wa-c'i-pi Ceremony is not only taking place in the center (Ho-c'o-ka) with the dancers. The ceremonial participation also depends on all the supporters on the outside of the arbor who should be in prayer. From the gate, to the cook shack, to the fire-keepers, to the supporters around the arbor, to even the moon camp, all people are still a part of this sacred ceremony. * There should be a preparation of 'Han-ble-c'i-ya' (vision quest) before you become a participant of the Sundance. * We shall go back into this ceremony with the proper protocols before and during the ceremony itself. Only those that have had the dream or direction through a ceremony, in concern of someone's health, should be dancing. Dancers should be secluded from outside participants, as to not be contaminated by other people's energy or thoughts. There should be absolutely no food or water during this four-day ceremony. If there are health problems, you should choose a person to finish your commitment. This ceremony is supposed to be for those that believe they can fulfill all required four days of the ceremony. 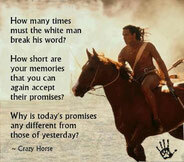 * Han-ble-c'i-ya' (Vision Quest): The vision quest should be only for Native People that have had the dream or vision. This Rite is also for the young men and women that reach the age of 12 years of age. * I-ni-pi (Purification Ceremony): Those that run this sacred rite should be able to communicate with Tun-ca-s'i-la (our Sacred Grandfathers) in their Native Plains tongue. They should also have earned this rite by completing Han-ble-c'i-ya and the four days and four years of the Wi-wanyang wa-c'i-pi. * The other four sacred rites of the Hun-ka ka-g'a (Making of a Relative), the Ta-pa kah'-g'o-ya (Throwing of the Sacred Ball), Wi-yan is'-na ti (Womanhood Ceremony) and the Na-g'i glu-ha (Keeping of the Spirit Ceremony), should be only handled by legitimate Lakota, Dakota, Nakota Oyate (People). 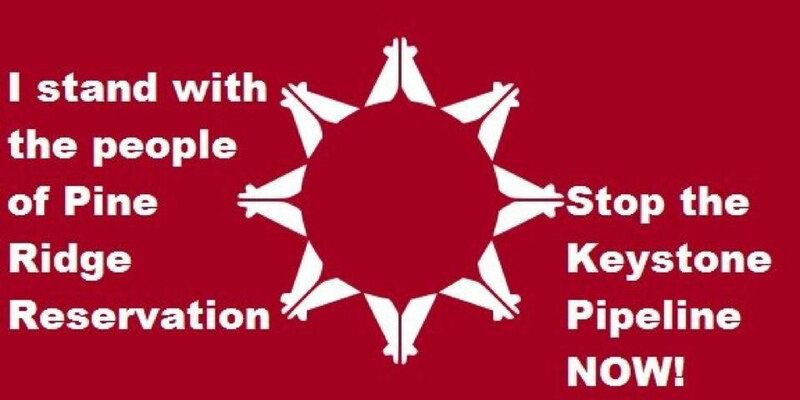 * It was also decided only legitimate Lakota, Dakota, Nakota Oyate Medicine Bundle Keepers should handle any other ceremonies that are connected to our Ho-co-ka, such as the Lo-wa-pi and U-wi-pi ceremonies. 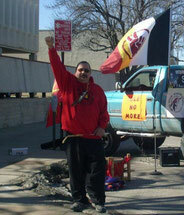 * There should be no price tag allowed to participate in any of our Sacred Ceremonies. The only protocol needed for a ceremony is to o-pa-g'i, meaning to offer your C'anupa or offer tobacco that has been prayed with, in which the Medicine Person accepts or not accept if he is not able to assist. Medicine People do need to survive, and if people wish to give a monetary or any other gifts after they receive their help from a ceremony, giving it from their hearts, I see no problem with that. We have to have faith that the Grandfathers will provide for our needs to survive in this modern society; whether the gift is money, blankets, food or anything that represents how much they appreciate the help. Some people can afford big gifts, some people cannot. It all balances out. * My position is only for the Seven Sacred Rites. I cannot dictate to our Medicine People who they allow to attend and support these Rites, in reference to non-Native People. I cannot dictate who they choose to doctor in their ceremonies. I cannot dictate where they travel to doctor. * I have my own personal feelings on who should be Keepers of our Sacred C'anupa (Pipe). The C'anupa is very sacred and the Keeper should first be given a dream and be of Native decent. This issue should be further discussed in our future meetings. The reason for my feelings is that I am aware the C'anupa has gone out to the International community and has been for sale. I know that most non-Native People do not understand the important protocols or have had the Traditional background to carry this sacred item properly. I am aware of women in their moon and men with blood on their hands (to take ones life intentionally) have been allowed to touch and carry the C'anupa. These serious situations were never to be allowed. I offer thanks to the non-Native People that have returned the C'anupa to our People, after I privately shared my concerns with them. I acknowledge their true sincerity in assisting our Nation to protect the survival of our Traditional way of life on behalf of our future generations. They have helped us bring back honor and respect to our sacred Ho-co-ka and C'anupa. * There was also discussion of only the Plains Tribal members to participate in the Ho-co-ka of the Wi-wanyang wa-c'i-pi and the Han-ble c'i-ya Ceremonies. In the early 70s, Chief Fools Crow and my father Stanley Looking Horse decided to allow other Native Nations to participate in these Rites. Their reasons were based on the fact that most Nations have lost their ways through assimilation or lack of Teachers to teach their Indigenous ways. 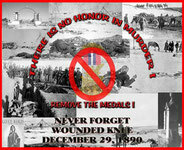 They honored and understood the unity of the First Nations People when different Tribes came to the aid of the Wounded Knee Occupation. 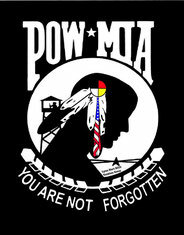 I cannot undo their decision out of respect for our Chief and Elder. It has also been in our history that our Ancestors have respectfully shared our ceremonies with other Indigenous Nations. * The original teachings were that the Pipe Carrier should make their own C'anupa. There was an understanding of the sincere spiritual energy and the traditional values passed down through our bloodlines. All the values of compassion, love, honor, respect and truth are molded into the spiritual life they are creating. I hope that one day the future generations will again pick up this important protocol. I would like to invite all our Lakota, Dakota, Nakota Nations to the next ceremony when I bring out the Sacred White Buffalo Calf Bundle. The dates in the Fall will be announced. During this time we will place the 12 honorable compassionate men to assist in taking care of the concerns of the Sacred C'anupa. We will also discuss the protocols of the need to have a good mind and good heart to be a member of the Societies that will carry out these decisions in a respectful manner. There will be another Protection of Ceremonies meeting to further discuss and address these serious issues in the future. This meeting will be sponsored by the Cheyenne Nation. Once again, I thank all those that have offered prayers for these very serious issues to be discussed and handled in a good way. In the Sacred Hoop of Life, where there is no ending and no beginning! Mitakuye Oyasin. Arvol Looking Horse is the 19th Generation Keeper of the Sacred White Buffalo Calf Pipe.